The Main Street Approach is centered around Transformation Strategies. A Transformation Strategy articulates a focused, deliberate path to revitalizing or strengthening a downtown or commercial district’s economy. 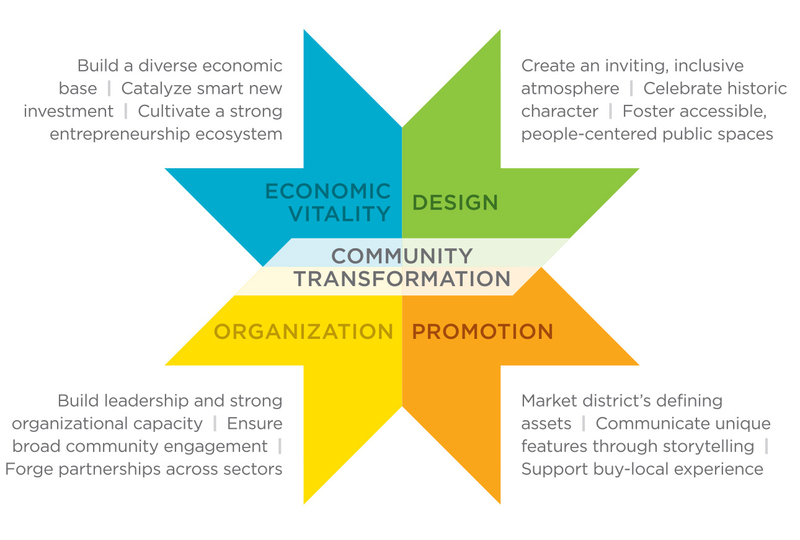 A program’s work on Transformation Strategies should be organized around the Four Points: Economic Vitality, Design, Promotion, and Organization. A revitalization program’s work – and its Transformation Strategies – need to be informed by a solid understanding of local and regional market data, and sustained and inclusive community engagement.